The Fall of the House of Usher was first published in Burton’s Gentleman’s Magazine in 1839 and is popularly considered to be Poe’s most famous work. 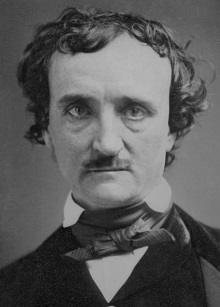 The interesting thing about this is, during his lifetime, the story was often dismissed by critics who even went as far as to label it a ‘juvenile production.’ Despite these harsh words, the story is one of Poe’s most anthologized works and, through the years, there has been any number of film and audio dramatization of the story as well as plays. There even been an opera. Sitot qu’on le touche il resonne. During the whole of a dull, dark, and soundless day in the autumn of the year, when the clouds hung oppressively low in the heavens, I had been passing alone, on horseback, through a singularly dreary tract of country; and at length found myself, as the shades of the evening drew on, within view of the melancholy House of Usher. I know not how it was – but, with the first glimpse of the building, a sense of insufferable gloom pervaded my spirit. I say insufferable; for the feeling was unrelieved by any of that half-pleasurable, because poetic, sentiment, with which the mind usually receives even the sternest natural images of the desolate or terrible. I looked upon the scene before me – upon the mere house, and the simple landscape features of the domain – upon the bleak walls – upon the vacant eye-like windows – upon a few rank sedges – and upon a few white trunks of decayed trees – with an utter depression of soul which I can compare to no earthly sensation more properly than to the after-dream of the reveller upon opium – the bitter lapse into everyday life-the hideous dropping off of the reveller upon opium – the bitter lapse into everyday life – the hideous dropping off of the veil. There was an iciness, a sinking, a sickening of the heart – an unredeemed dreariness of thought which no goading of the imagination could torture into aught of the sublime. What was it – I paused to think – what was it that so unnerved me in the contemplation of the House of Usher? It was a mystery all insoluble; nor could I grapple with the shadowy fancies that crowded upon me as I pondered. I was forced to fall back upon the unsatisfactory conclusion, that while, beyond doubt, there are combinations of very simple natural objects which have the power of thus affecting us, still the analysis of this power lies among considerations beyond our depth. It was possible, I reflected, that a mere different arrangement of the particulars of the scene, of the details of the picture, would be sufficient to modify, or perhaps to annihilate its capacity for sorrowful impression; and, acting upon this idea, I reined my horse to the precipitous brink of a black and lurid tarn that lay in unruffled lustre by the dwelling, and gazed down – but with a shudder even more thrilling than before – upon the remodelled and inverted images of the gray sedge, and the ghastly tree-stems, and the vacant and eye-like windows. Nevertheless, in this mansion of gloom I now proposed to myself a sojourn of some weeks. Its proprietor, Roderick Usher, had been one of my boon companions in boyhood; but many years had elapsed since our last meeting. A letter, however, had lately reached me in a distant part of the country – a letter from him – which, in its wildly importunate nature, had admitted of no other than a personal reply. The MS. gave evidence of nervous agitation. The writer spoke of acute bodily illness – of a mental disorder which oppressed him – and of an earnest desire to see me, as his best, and indeed his only personal friend, with a view of attempting, by the cheerfulness of my society, some alleviation of his malady. It was the manner in which all this, and much more, was said – it the apparent heart that went with his request – which allowed me no room for hesitation; and I accordingly obeyed forthwith what I still considered a very singular summons. Although, as boys, we had been even intimate associates, yet really knew little of my friend. His reserve had been always excessive and habitual. I was aware, however, that his very ancient family had been noted, time out of mind, for a peculiar sensibility of temperament, displaying itself, through long ages, in many works of exalted art, and manifested, of late, in repeated deeds of munificent yet unobtrusive charity, as well as in a passionate devotion to the intricacies, perhaps even more than to the orthodox and easily recognisable beauties, of musical science. I had learned, too, the very remarkable fact, that the stem of the Usher race, all time-honoured as it was, had put forth, at no period, any enduring branch; in other words, that the entire family lay in the direct line of descent, and had always, with very trifling and very temporary variation, so lain. It was this deficiency, I considered, while running over in thought the perfect keeping of the character of the premises with the accredited character of the people, and while speculating upon the possible influence which the one, in the long lapse of centuries, might have exercised upon the other – it was this deficiency, perhaps, of collateral issue, and the consequent undeviating transmission, from sire to son, of the patrimony with the name, which had, at length, so identified the two as to merge the original title of the estate in the quaint and equivocal appellation of the “House of Usher” – an appellation which seemed to include, in the minds of the peasantry who used it, both the family and the family mansion. I have said that the sole effect of my somewhat childish experiment – that of looking down within the tarn – had been to deepen the first singular impression. There can be no doubt that the consciousness of the rapid increase of my superstition – for why should I not so term it? – served mainly to accelerate the increase itself. Such, I have long known, is the paradoxical law of all sentiments having terror as a basis. And it might have been for this reason only, that, when I again uplifted my eyes to the house itself, from its image in the pool, there grew in my mind a strange fancy – a fancy so ridiculous, indeed, that I but mention it to show the vivid force of the sensations which oppressed me. I had so worked upon my imagination as really to believe that about the whole mansion and domain there hung an atmosphere peculiar to themselves and their immediate vicinity-an atmosphere which had no affinity with the air of heaven, but which had reeked up from the decayed trees, and the gray wall, and the silent tarn – a pestilent and mystic vapour, dull, sluggish, faintly discernible, and leaden-hued. Noticing these things, I rode over a short causeway to the house. A servant in waiting took my horse, and I entered the Gothic archway of the hall. A valet, of stealthy step, thence conducted me, in silence, through many dark and intricate passages in my progress to the studio of his master. Much that I encountered on the way contributed, I know not how, to heighten the vague sentiments of which I have already spoken. While the objects around me – while the carvings of the ceilings, the sombre tapestries of the walls, the ebon blackness of the floors, and the phantasmagoric armorial trophies which rattled as I strode, were but matters to which, or to such as which, I had been accustomed from my infancy – while I hesitated not to acknowledge how familiar was all this – I still wondered to find how unfamiliar were the fancies which ordinary images were stirring up. On one of the staircases, I met the physician of the family. His countenance, I thought, wore a mingled expression of low cunning and perplexity. He accosted me with trepidation and passed on. The valet now threw open a door and ushered me into the presence of his master. Upon my entrance, Usher arose from a sofa on which he had been lying at full length, and greeted me with a vivacious warmth which had much in it, I at first thought, of an overdone cordiality – of the constrained effort of the ennuye man of the world. A glance, however, at his countenance, convinced me of his perfect sincerity. We sat down; and for some moments, while he spoke not, I gazed upon him with a feeling half of pity, half of awe. Surely, man had never before so terribly altered, in so brief a period, as had Roderick Usher! It was with difficulty that I could bring myself to admit the identity of the wan being before me with the companion of my early boyhood. Yet the character of his face had been at all times remarkable. A cadaverousness of complexion; an eye large, liquid, and luminous beyond comparison; lips somewhat thin and very pallid, but of a surpassingly beautiful curve; a nose of a delicate Hebrew model, but with a breadth of nostril unusual in similar formations; a finely moulded chin, speaking, in its want of prominence, of a want of moral energy; hair of a more than web-like softness and tenuity; these features, with an inordinate expansion above the regions of the temple, made up altogether a countenance not easily to be forgotten. And now in the mere exaggeration of the prevailing character of these features, and of the expression they were wont to convey, lay so much of change that I doubted to whom I spoke. The now ghastly pallor of the skin, and the now miraculous lustre of the eve, above all things startled and even awed me. The silken hair, too, had been suffered to grow all unheeded, and as, in its wild gossamer texture, it floated rather than fell about the face, I could not, even with effort, connect its Arabesque expression with any idea of simple humanity. In the manner of my friend I was at once struck with an incoherence – an inconsistency; and I soon found this to arise from a series of feeble and futile struggles to overcome an habitual trepidancy – an excessive nervous agitation. For something of this nature I had indeed been prepared, no less by his letter, than by reminiscences of certain boyish traits, and by conclusions deduced from his peculiar physical conformation and temperament. His action was alternately vivacious and sullen. His voice varied rapidly from a tremulous indecision (when the animal spirits seemed utterly in abeyance) to that species of energetic concision – that abrupt, weighty, unhurried, and hollow-sounding enunciation – that leaden, self-balanced and perfectly modulated guttural utterance, which may be observed in the lost drunkard, or the irreclaimable eater of opium, during the periods of his most intense excitement. It was thus that he spoke of the object of my visit, of his earnest desire to see me, and of the solace he expected me to afford him. He entered, at some length, into what he conceived to be the nature of his malady. It was, he said, a constitutional and a family evil, and one for which he despaired to find a remedy – a mere nervous affection, he immediately added, which would undoubtedly soon pass off. It displayed itself in a host of unnatural sensations. Some of these, as he detailed them, interested and bewildered me; although, perhaps, the terms, and the general manner of the narration had their weight. He suffered much from a morbid acuteness of the senses; the most insipid food was alone endurable; he could wear only garments of certain texture; the odours of all flowers were oppressive; his eyes were tortured by even a faint light; and there were but peculiar sounds, and these from stringed instruments, which did not inspire him with horror. I learned, moreover, at intervals, and through broken and equivocal hints, another singular feature of his mental condition. He was enchained by certain superstitious impressions in regard to the dwelling which he tenanted, and whence, for many years, he had never ventured forth – in regard to an influence whose supposititious force was conveyed in terms too shadowy here to be re-stated – an influence which some peculiarities in the mere form and substance of his family mansion, had, by dint of long sufferance, he said, obtained over his spirit-an effect which the physique of the gray walls and turrets, and of the dim tarn into which they all looked down, had, at length, brought about upon the morale of his existence. He admitted, however, although with hesitation, that much of the peculiar gloom which thus afflicted him could be traced to a more natural and far more palpable origin – to the severe and long-continued illness – indeed to the evidently approaching dissolution-of a tenderly beloved sister – his sole companion for long years – his last and only relative on earth. “Her decease,” he said, with a bitterness which I can never forget, “would leave him (him the hopeless and the frail) the last of the ancient race of the Ushers.” While he spoke, the lady Madeline (for so was she called) passed slowly through a remote portion of the apartment, and, without having noticed my presence, disappeared. I regarded her with an utter astonishment not unmingled with dread – and yet I found it impossible to account for such feelings. A sensation of stupor oppressed me, as my eyes followed her retreating steps. When a door, at length, closed upon her, my glance sought instinctively and eagerly the countenance of the brother – but he had buried his face in his hands, and I could only perceive that a far more than ordinary wanness had overspread the emaciated fingers through which trickled many passionate tears. The disease of the lady Madeline had long baffled the skill of her physicians. A settled apathy, a gradual wasting away of the person, and frequent although transient affections of a partially cataleptical character, were the unusual diagnosis. Hitherto she had steadily borne up against the pressure of her malady, and had not betaken herself finally to bed; but, on the closing in of the evening of my arrival at the house, she succumbed (as her brother told me at night with inexpressible agitation) to the prostrating power of the destroyer; and I learned that the glimpse I had obtained of her person would thus probably be the last I should obtain – that the lady, at least while living, would be seen by me no more. I shall ever bear about me a memory of the many solemn hours I thus spent alone with the master of the House of Usher. Yet I should fail in any attempt to convey an idea of the exact character of the studies, or of the occupations, in which he involved me, or led me the way. An excited and highly distempered ideality threw a sulphureous lustre over all. His long improvised dirges will ring forever in my cars. Among other things, I hold painfully in mind a certain singular perversion and amplification of the wild air of the last waltz of Von Weber. From the paintings over which his elaborate fancy brooded, and which grew, touch by touch, into vaguenesses at which I shuddered the more thrillingly, because I shuddered knowing not why; – from these paintings (vivid as their images now are before me) I would in vain endeavour to educe more than a small portion which should lie within the compass of merely written words. By the utter simplicity, by the nakedness of his designs, he arrested and overawed attention. If ever mortal painted an idea, that mortal was Roderick Usher. For me at least – in the circumstances then surrounding me – there arose out of the pure abstractions which the hypochondriac contrived to throw upon his canvas, an intensity of intolerable awe, no shadow of which felt I ever yet in the contemplation of the certainly glowing yet too concrete reveries of Fuseli. Radiant palace – reared its head. And laugh – but smile no more. I well remember that suggestions arising from this ballad led us into a train of thought wherein there became manifest an opinion of Usher’s which I mention not so much on account of its novelty, (for other men have thought thus,) as on account of the pertinacity with which he maintained it. This opinion, in its general form, was that of the sentience of all vegetable things. But, in his disordered fancy, the idea had assumed a more daring character, and trespassed, under certain conditions, upon the kingdom of inorganization. I lack words to express the full extent, or the earnest abandon of his persuasion. The belief, however, was connected (as I have previously hinted) with the gray stones of the home of his forefathers. The conditions of the sentience had been here, he imagined, fulfilled in the method of collocation of these stones – in the order of their arrangement, as well as in that of the many fungi which overspread them, and of the decayed trees which stood around – above all, in the long undisturbed endurance of this arrangement, and in its reduplication in the still waters of the tarn. Its evidence – the evidence of the sentience – was to be seen, he said, (and I here started as he spoke,) in the gradual yet certain condensation of an atmosphere of their own about the waters and the walls. The result was discoverable, he added, in that silent, yet importunate and terrible influence which for centuries had moulded the destinies of his family, and which made him what I now saw him – what he was. Such opinions need no comment, and I will make none. Our books – the books which, for years, had formed no small portion of the mental existence of the invalid – were, as might be supposed, in strict keeping with this character of phantasm. We pored together over such works as the Ververt et Chartreuse of Gresset; the Belphegor of Machiavelli; the Heaven and Hell of Swedenborg; the Subterranean Voyage of Nicholas Klimm by Holberg; the Chiromancy of Robert Flud, of Jean D’Indagine, and of De la Chambre; the Journey into the Blue Distance of Tieck; and the City of the Sun of Campanella. One favourite volume was a small octavo edition of the Directorium Inquisitorum, by the Dominican Eymeric de Gironne; and there were passages in Pomponius Mela, about the old African Satyrs and AEgipans, over which Usher would sit dreaming for hours. His chief delight, however, was found in the perusal of an exceedingly rare and curious book in quarto Gothic – the manual of a forgotten church – the Vigilae Mortuorum secundum Chorum Ecclesiae Maguntinae. Having deposited our mournful burden upon tressels within this region of horror, we partially turned aside the yet unscrewed lid of the coffin, and looked upon the face of the tenant. A striking similitude between the brother and sister now first arrested my attention; and Usher, divining, perhaps, my thoughts, murmured out some few words from which I learned that the deceased and himself had been twins, and that sympathies of a scarcely intelligible nature had always existed between them. Our glances, however, rested not long upon the dead – for we could not regard her unawed. The disease which had thus entombed the lady in the maturity of youth, had left, as usual in all maladies of a strictly cataleptical character, the mockery of a faint blush upon the bosom and the face, and that suspiciously lingering smile upon the lip which is so terrible in death. We replaced and screwed down the lid, and, having secured the door of iron, made our way, with toll, into the scarcely less gloomy apartments of the upper portion of the house. And now, some days of bitter grief having elapsed, an observable change came over the features of the mental disorder of my friend. His ordinary manner had vanished. His ordinary occupations were neglected or forgotten. He roamed from chamber to chamber with hurried, unequal, and objectless step. The pallor of his countenance had assumed, if possible, a more ghastly hue – but the luminousness of his eye had utterly gone out. The once occasional huskiness of his tone was heard no more; and a tremulous quaver, as if of extreme terror, habitually characterized his utterance. There were times, indeed, when I thought his unceasingly agitated mind was labouring with some oppressive secret, to divulge which he struggled for the necessary courage. At times, again, I was obliged to resolve all into the mere inexplicable vagaries of madness, for I beheld him gazing upon vacancy for long hours, in an attitude of the profoundest attention, as if listening to some imaginary sound. It was no wonder that his condition terrified-that it infected me. I felt creeping upon me, by slow yet certain degrees, the wild influences of his own fantastic yet impressive superstitions. It was, especially, upon retiring to bed late in the night of the seventh or eighth day after the placing of the lady Madeline within the donjon, that I experienced the full power of such feelings. Sleep came not near my couch – while the hours waned and waned away. I struggled to reason off the nervousness which had dominion over me. I endeavoured to believe that much, if not all of what I felt, was due to the bewildering influence of the gloomy furniture of the room – of the dark and tattered draperies, which, tortured into motion by the breath of a rising tempest, swayed fitfully to and fro upon the walls, and rustled uneasily about the decorations of the bed. But my efforts were fruitless. An irrepressible tremour gradually pervaded my frame; and, at length, there sat upon my very heart an incubus of utterly causeless alarm. Shaking this off with a gasp and a struggle, I uplifted myself upon the pillows, and, peering earnestly within the intense darkness of the chamber, hearkened – I know not why, except that an instinctive spirit prompted me – to certain low and indefinite sounds which came, through the pauses of the storm, at long intervals, I knew not whence. Overpowered by an intense sentiment of horror, unaccountable yet unendurable, I threw on my clothes with haste (for I felt that I should sleep no more during the night), and endeavoured to arouse myself from the pitiable condition into which I had fallen, by pacing rapidly to and fro through the apartment. I had taken but few turns in this manner, when a light step on an adjoining staircase arrested my attention. I presently recognised it as that of Usher. In an instant afterward he rapped, with a gentle touch, at my door, and entered, bearing a lamp. His countenance was, as usual, cadaverously wan – but, moreover, there was a species of mad hilarity in his eyes – an evidently restrained hysteria in his whole demeanour. His air appalled me – but anything was preferable to the solitude which I had so long endured, and I even welcomed his presence as a relief. “And you have not seen it?” he said abruptly, after having stared about him for some moments in silence – “you have not then seen it? – but, stay! you shall.” Thus speaking, and having carefully shaded his lamp, he hurried to one of the casements, and threw it freely open to the storm. The impetuous fury of the entering gust nearly lifted us from our feet. It was, indeed, a tempestuous yet sternly beautiful night, and one wildly singular in its terror and its beauty. A whirlwind had apparently collected its force in our vicinity; for there were frequent and violent alterations in the direction of the wind; and the exceeding density of the clouds (which hung so low as to press upon the turrets of the house) did not prevent our perceiving the life-like velocity with which they flew careering from all points against each other, without passing away into the distance. I say that even their exceeding density did not prevent our perceiving this – yet we had no glimpse of the moon or stars – nor was there any flashing forth of the lightning. But the under surfaces of the huge masses of agitated vapour, as well as all terrestrial objects immediately around us, were glowing in the unnatural light of a faintly luminous and distinctly visible gaseous exhalation which hung about and enshrouded the mansion. The antique volume which I had taken up was the “Mad Trist” of Sir Launcelot Canning; but I had called it a favourite of Usher’s more in sad jest than in earnest; for, in truth, there is little in its uncouth and unimaginative prolixity which could have had interest for the lofty and spiritual ideality of my friend. It was, however, the only book immediately at hand; and I indulged a vague hope that the excitement which now agitated the hypochondriac, might find relief (for the history of mental disorder is full of similar anomalies) even in the extremeness of the folly which I should read. Could I have judged, indeed, by the wild over-strained air of vivacity with which he hearkened, or apparently hearkened, to the words of the tale, I might well have congratulated myself upon the success of my design. “And Ethelred, who was by nature of a doughty heart, and who was now mighty withal, on account of the powerfulness of the wine which he had drunken, waited no longer to hold parley with the hermit, who, in sooth, was of an obstinate and maliceful turn, but, feeling the rain upon his shoulders, and fearing the rising of the tempest, uplifted his mace outright, and, with blows, made quickly room in the plankings of the door for his gauntleted hand; and now pulling there-with sturdily, he so cracked, and ripped, and tore all asunder, that the noise of the dry and hollow-sounding wood alarumed and reverberated throughout the forest. Here again I paused abruptly, and now with a feeling of wild amazement – for there could be no doubt whatever that, in this instance, I did actually hear (although from what direction it proceeded I found it impossible to say) a low and apparently distant, but harsh, protracted, and most unusual screaming or grating sound – the exact counterpart of what my fancy had already conjured up for the dragon’s unnatural shriek as described by the romancer. No sooner had these syllables passed my lips, than – as if a shield of brass had indeed, at the moment, fallen heavily upon a floor of silver became aware of a distinct, hollow, metallic, and clangorous, yet apparently muffled reverberation. Completely unnerved, I leaped to my feet; but the measured rocking movement of Usher was undisturbed. I rushed to the chair in which he sat. His eyes were bent fixedly before him, and throughout his whole countenance there reigned a stony rigidity. But, as I placed my hand upon his shoulder, there came a strong shudder over his whole person; a sickly smile quivered about his lips; and I saw that he spoke in a low, hurried, and gibbering murmur, as if unconscious of my presence. Bending closely over him, I at length drank in the hideous import of his words. As if in the superhuman energy of his utterance there had been found the potency of a spell – the huge antique panels to which the speaker pointed, threw slowly back, upon the instant, ponderous and ebony jaws. It was the work of the rushing gust – but then without those doors there DID stand the lofty and enshrouded figure of the lady Madeline of Usher. There was blood upon her white robes, and the evidence of some bitter struggle upon every portion of her emaciated frame. For a moment she remained trembling and reeling to and fro upon the threshold, then, with a low moaning cry, fell heavily inward upon the person of her brother, and in her violent and now final death-agonies, bore him to the floor a corpse, and a victim to the terrors he had anticipated.